All India Institute of Medical Sciences (AIIMS) has recently release the notification for the posts of Staff Nurse, Sr, Jr Resident, AE, JE, and other posts. The candidates who are interested in All India Institute of Medical Sciences (AIIMS) they can apply for that job. And who are waiting for this opportunity they get a good chance to apply in All India Institute of Medical Sciences (AIIMS). 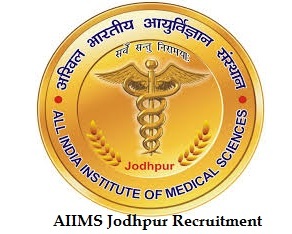 All India Institute of Medical Sciences (AIIMS) should have the various posts as per the requirement notification.The candidates should go the official website of All India Institute of Medical Sciences (AIIMS).There you can check the eligibility criteria, last date of application and different posts. As per post wise you can apply for All India Institute of Medical Sciences (AIIMS). Staff Nurse Grade 1-50 posts. Junior resident posts- 52 posts. You must have the Bachelor’s Degree in Nursing from any recognized university. Your age should in between 21-35 years. Pay scale: Rs.15, 600-39,600 with grade pay as 5,400. Your age should in between 18-30 years. Selection process should conduct in 2 ways. Application Fee: 500/- for Staff Nursing. You can pay the fee through debit/credit cars/Internet banking. You must have the Master’s Degree in Medical from any recognized university. Your age should not exceed 33 years. Age relaxation will be applicable for ST/SC/OBC candidates. Application Fee: 1000/- for general and OBC candidates. Selection process should based on Personal Interview. You must have the MBBS/BDS degree from any recognized university. You must have the s Degree in civil engineering from any recognized university. Your age should not exceed 31 years. Age relaxation will be applicable for ST/SC/OBC candidates.